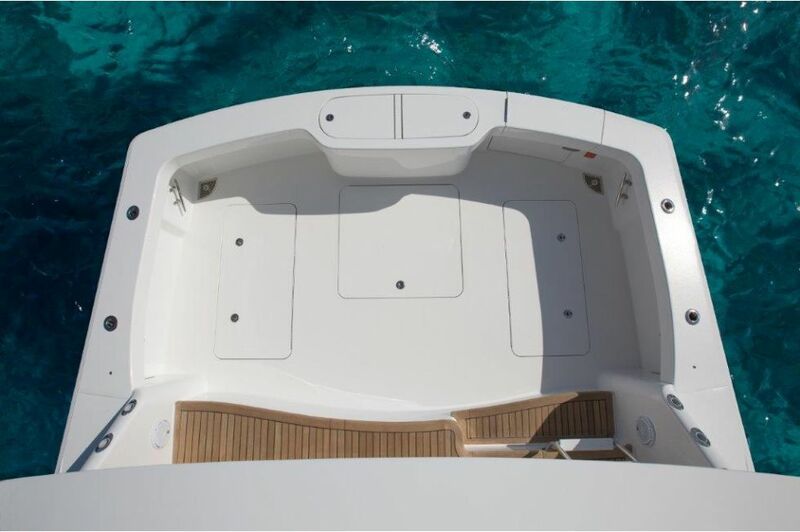 With the 44 Convertible, Viking delivers a tournament contender and luxurious cruising yacht equally capable of galloping hard to the East Coast canyons on gnarly weather days or blasting over to the Bahamas in air-conditioned comfort. 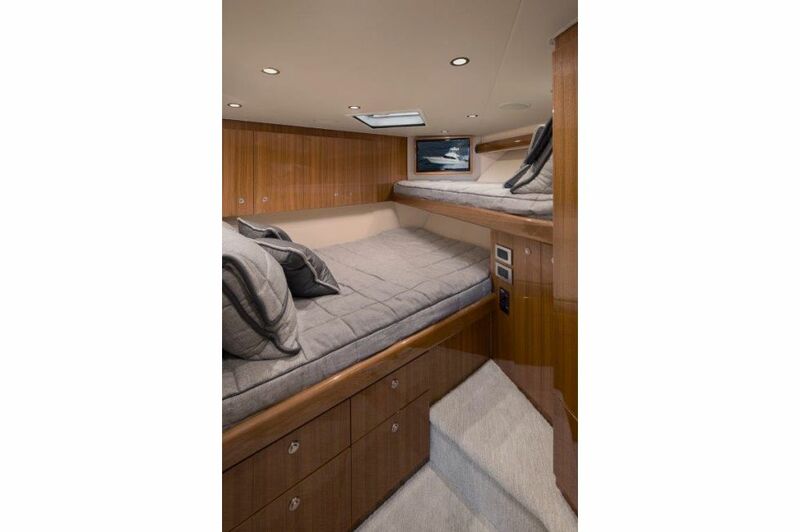 The 44 C runs on the same proprietary surface as our 44 Open, giving her the high performance of a Viking express fishing boat and the stylish deckhouse, expansive salon and the grand accommodations of a Viking convertible. 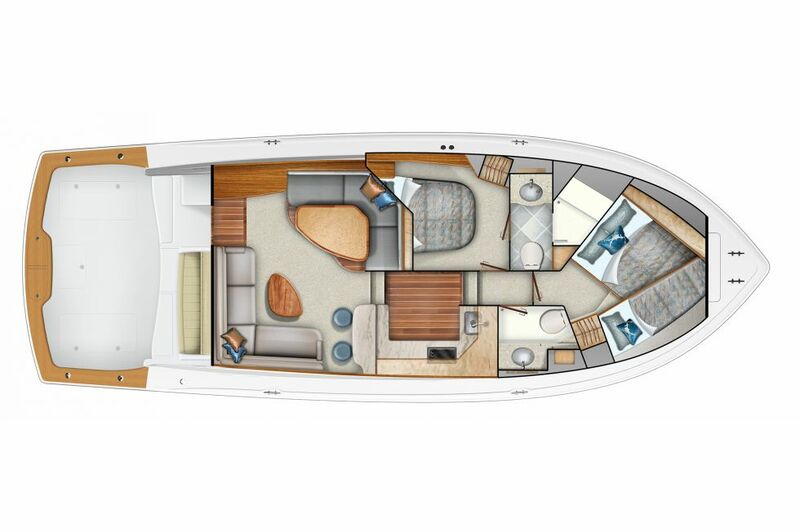 The 44 C carries a fierce aerodynamic profile, with a raked bow, sloping sheer and swept-back deckhouse with black-masked windshield. 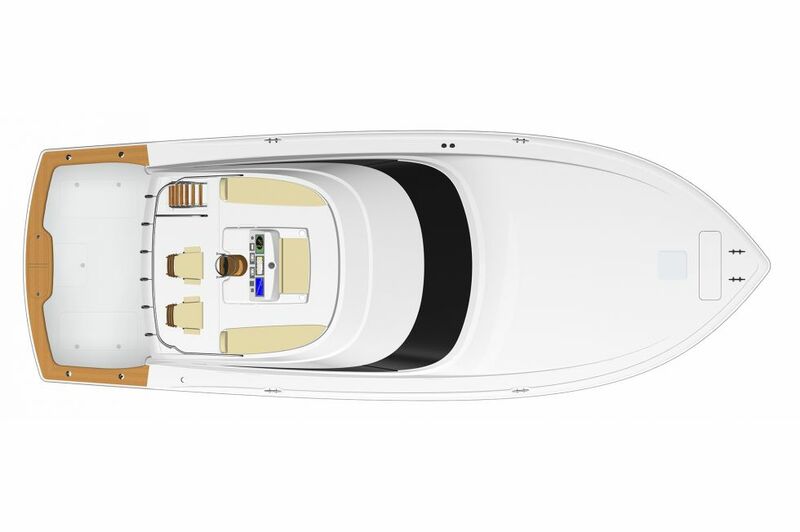 With nearly 6 feet of freeboard, the 44 C’s bow shoulders aside the seas with ease and throws down spray with authority. 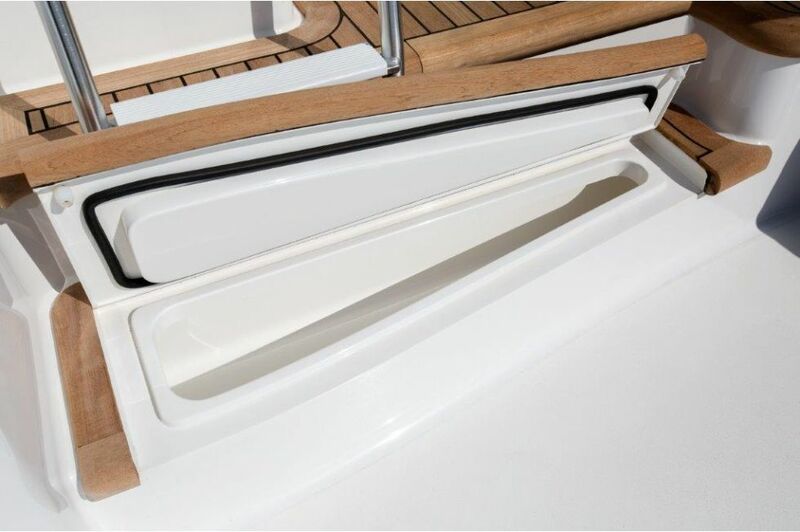 The boat’s wave-slicing entry gradually flattens moving aft where the deadrise provides lift and support for exceptional performance. The chines and strakes knock down spray, but also contribute to lift and stability. 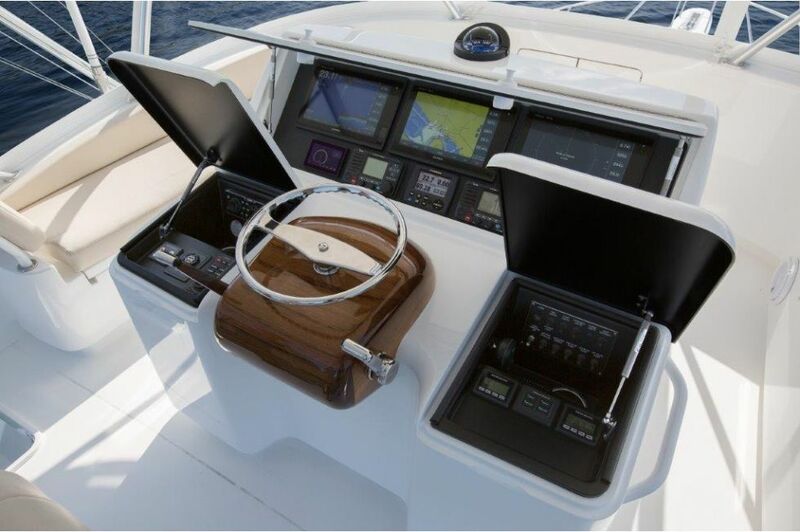 Captains command from a center console walk-around helm with 360-degree visibility and a clear view of the cockpit. 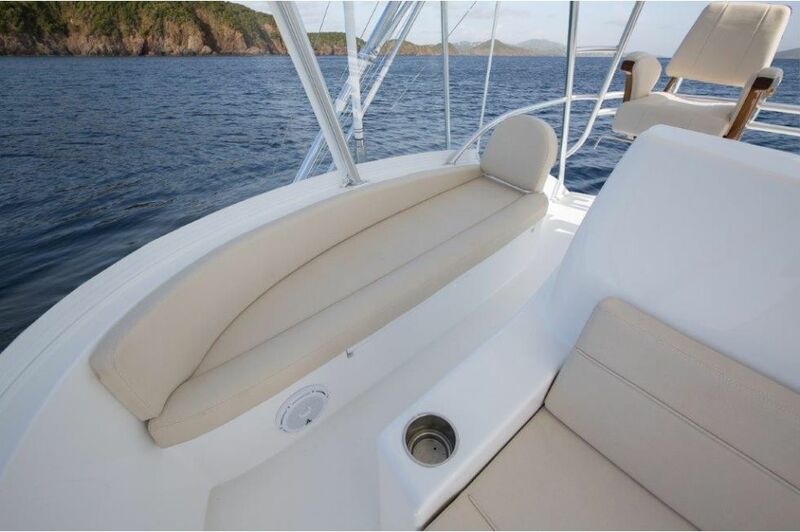 Crew and guests have a choice of port, starboard or forward seating. 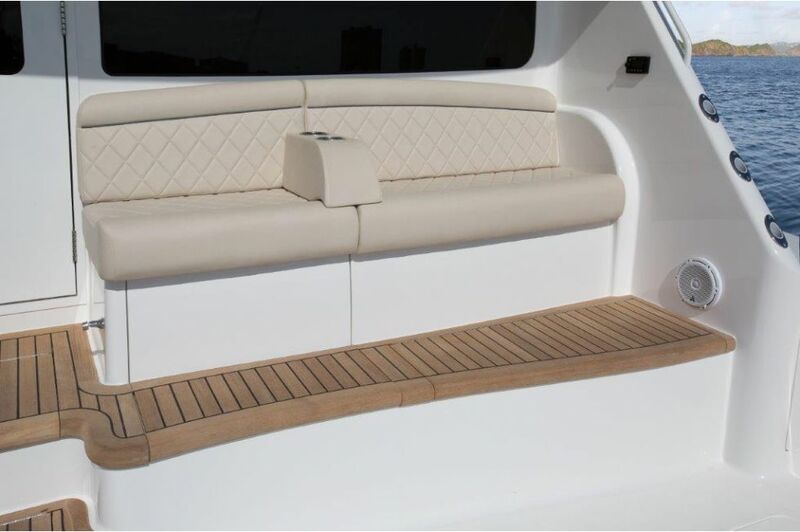 The flybridge’s fiberglass overhang throws shade on the mezzanine below while providing space aft of the helm and companion pedestal seats. 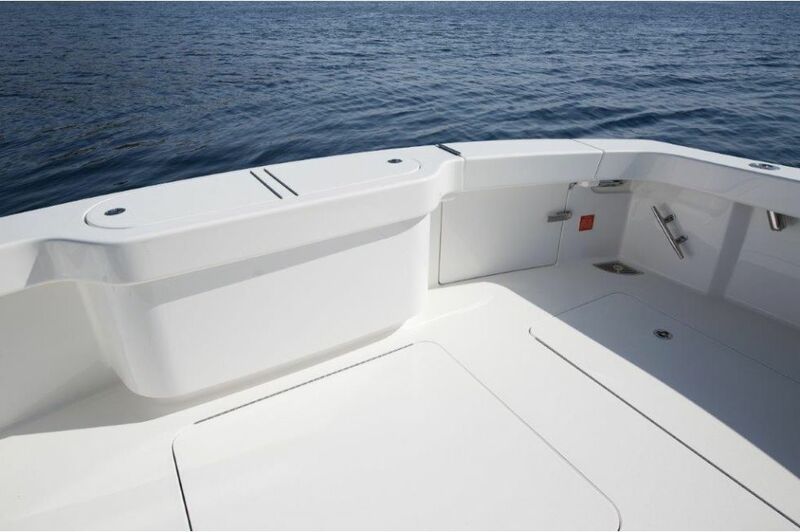 An available fiberglass hardtop can be ordered with overhead instrumentation and teaser reel compartments, as well as a Costa Clear enclosure. 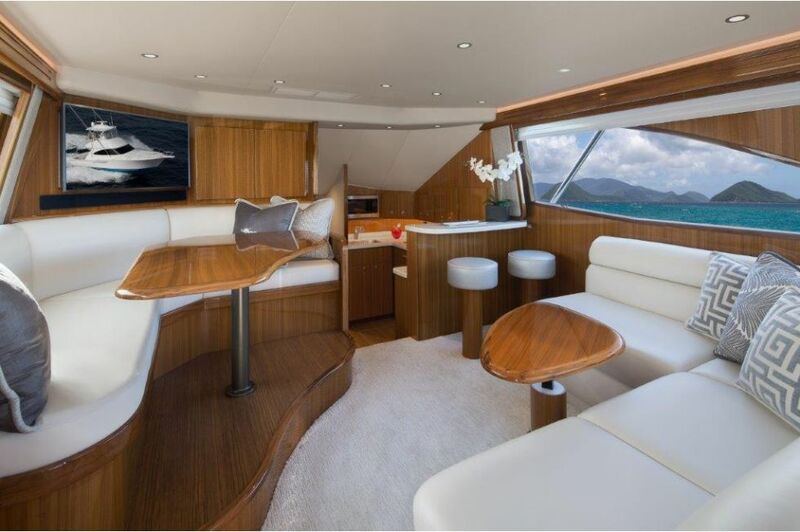 The salon and galley are bathed in high-gloss teak, giving the interior a warm and inviting feel. The salon is large, air-conditioned and appointed with comfortable seating, dining and socializing areas. 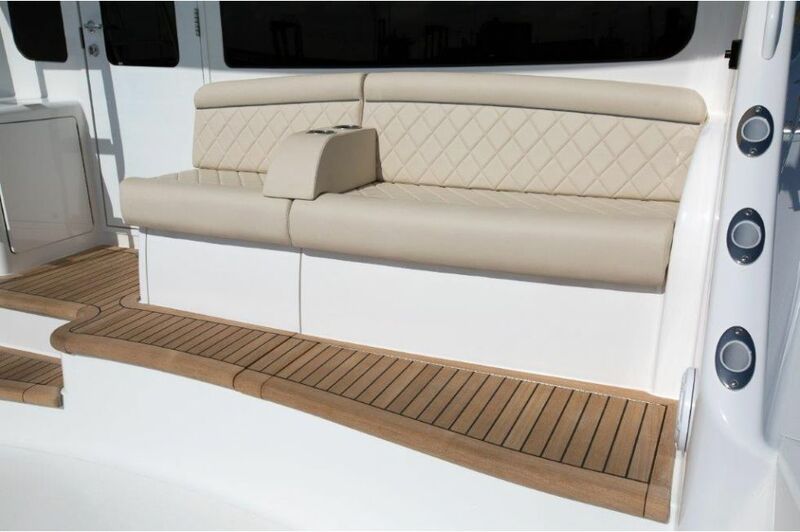 Relax in the L-shaped lounge to starboard with a teak hi-lo table. 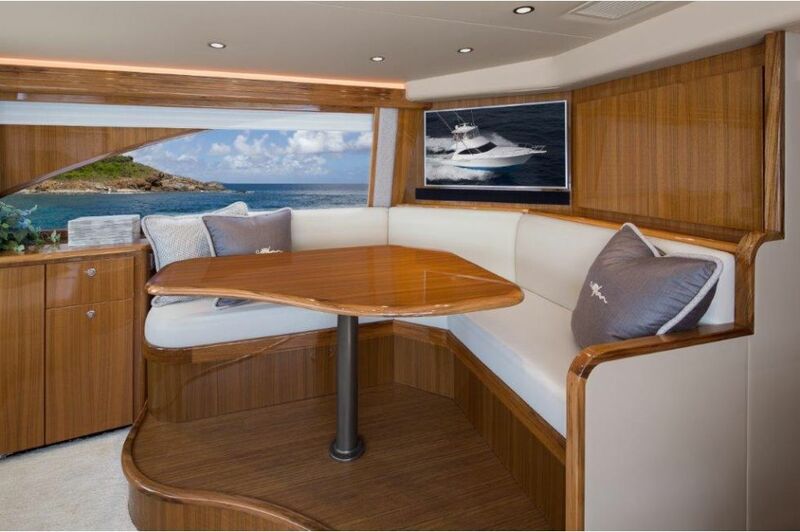 Forward to port is a raised dinette and settee against a teak bulkhead with cabinetry and a 40-inch flat-screen television. 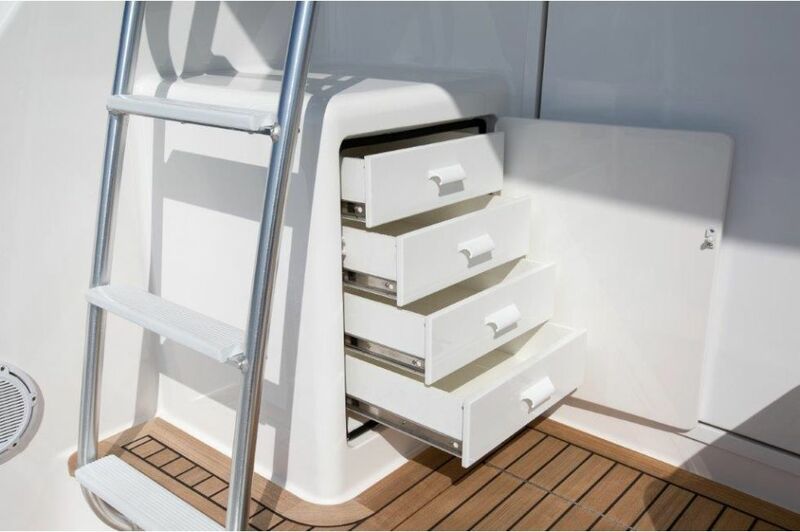 The starboard galley is one step down. 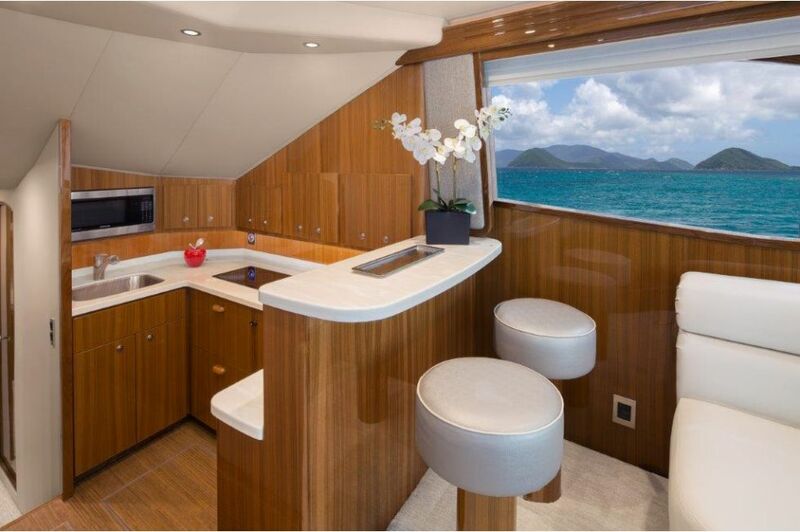 Our space-saving split-level design allows for a Corian countertop with bar stools in the salon to increase sitting and dining areas, while below, the galley is equipped with all the conveniences of a modern-day home. 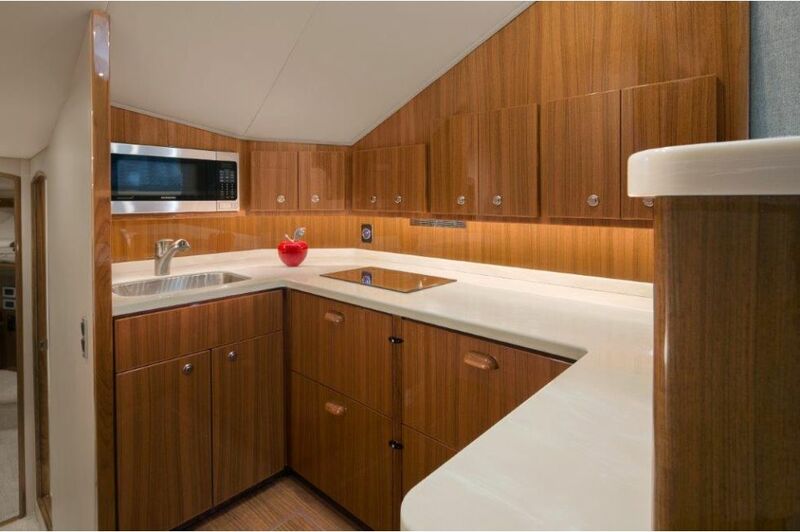 Teak cabinetry, premium Amtico vinyl flooring, Corian countertops and a bone-color Corian recessed sink are only a few of the galley features. A plethora of appliances are at your disposal: an electric range, a two-burner, surface-mount stove, a large-capacity deep-drawer under-counter style refrigerator and freezer and a microwave/convection oven. 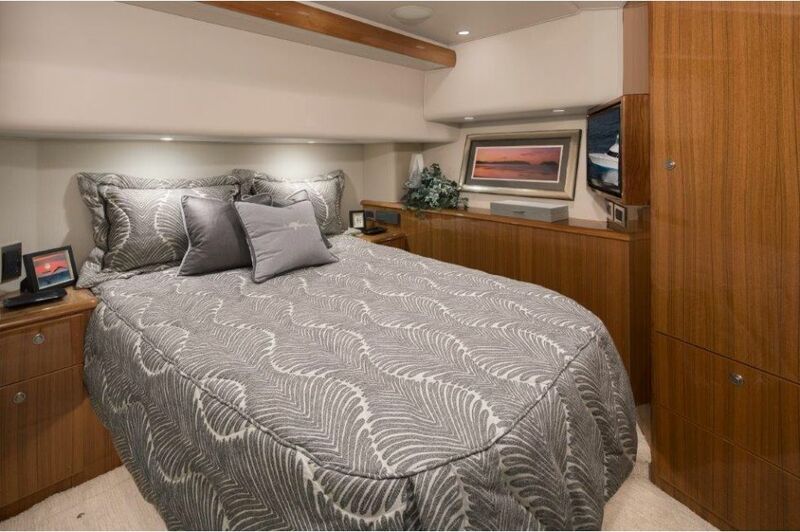 The port-side master stateroom is inviting and comfortable with a queen-size walk-around bed with maple-lined stowage below, flanking night tables, carpeting, a maple-lined hanging locker, a 28-inch flat-screen television and stereo speakers. 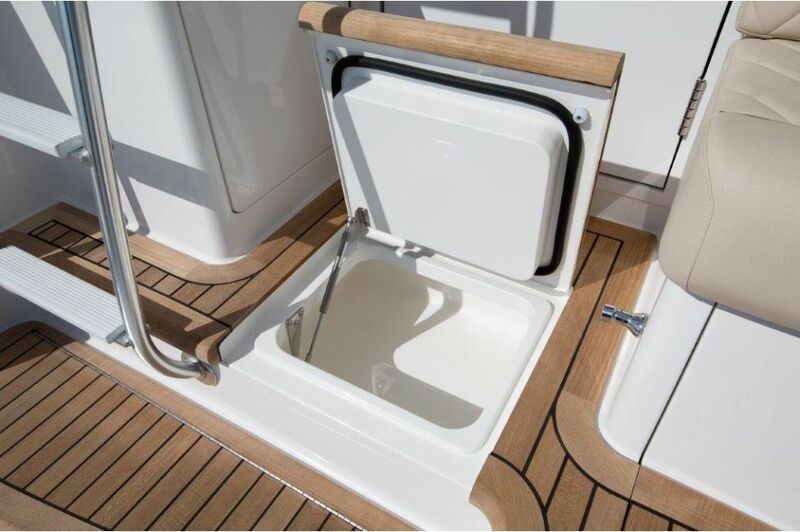 The head includes a fiberglass shower stall, Amtico flooring and a vanity with teak door and Corian countertop. 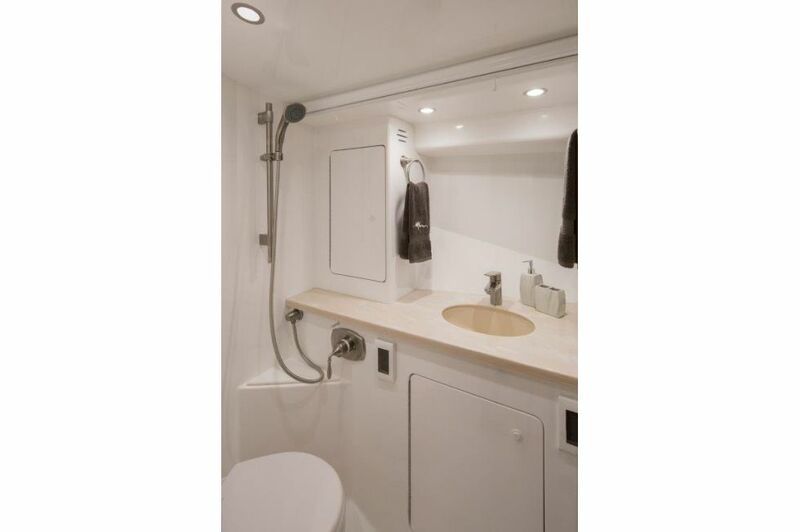 The forward stateroom has a double and a single berth in an over and under crossover arrangement. 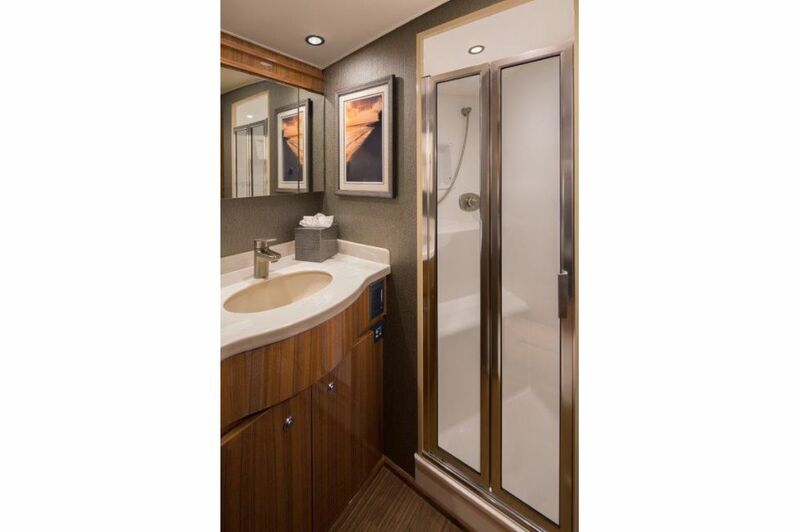 A second head and shower serve this stateroom. The head also has a vanity with Corian countertop and Amtico flooring. 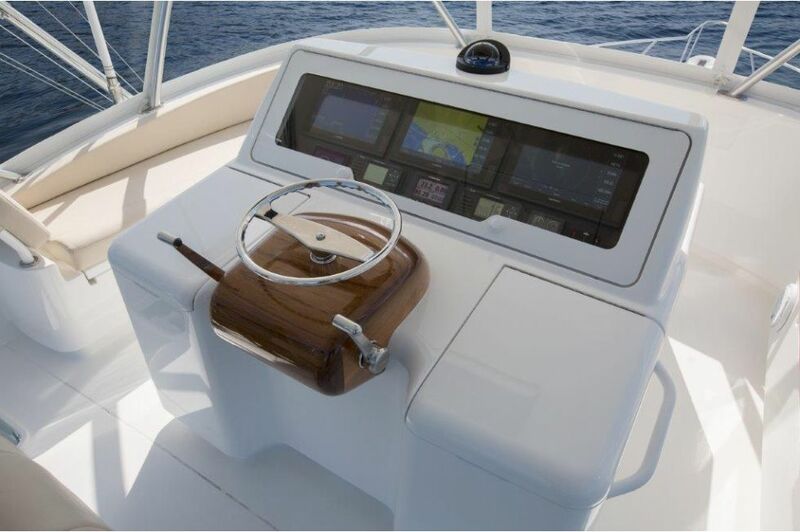 We arm the 119-square-foot cockpit with an arsenal of standard equipment such as flush rod holders, fresh and salt water wash down systems, a transom live well, a transom door with lift gate, tackle stowage, a step-box cooler and an in-deck fish and a stowage well. 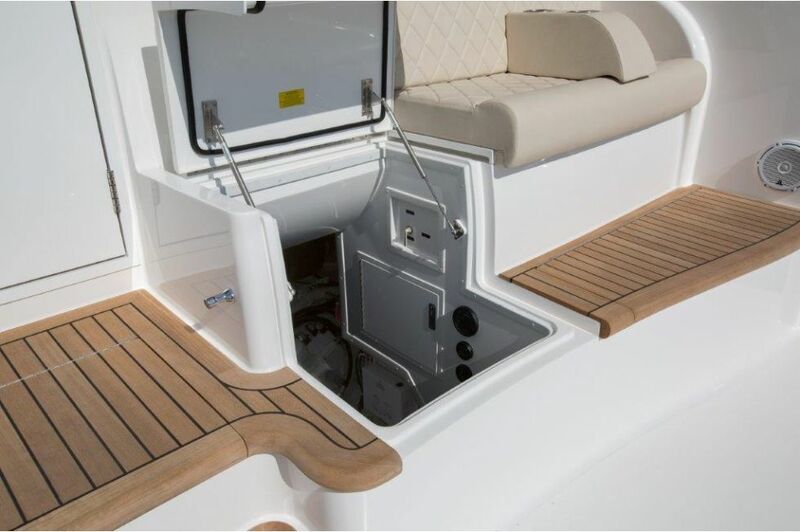 The 44 C is engineered and designed for the installation of a Seakeeper gyro stabilizer, which brings great stability to the vessel and elevates the overall comfort level. 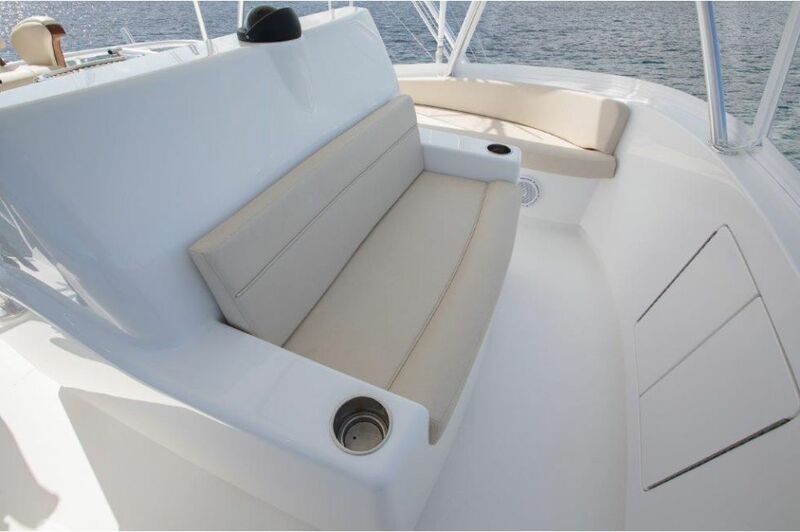 Guests can take in the fishing action from the starboard-side observation mezzanine's aft-facing lounge seating. 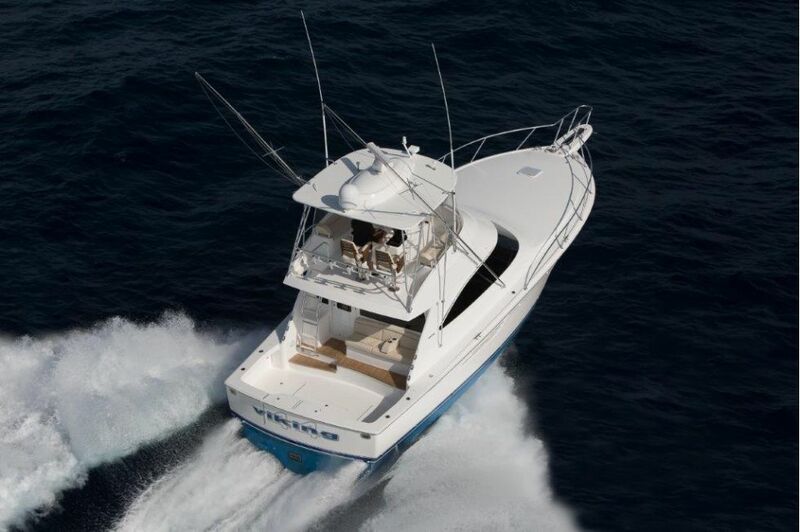 Twin 800-hp MAN 6-cylinder diesels provide the standard power. 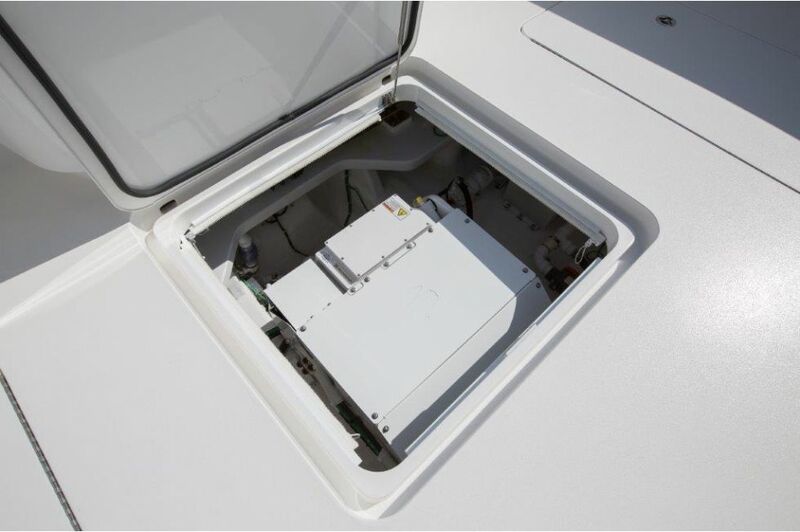 An engineering showcase, the bright white engineroom that’s easily accessed through the observation mezzanine illustrates Viking’s legendary attention to detail. 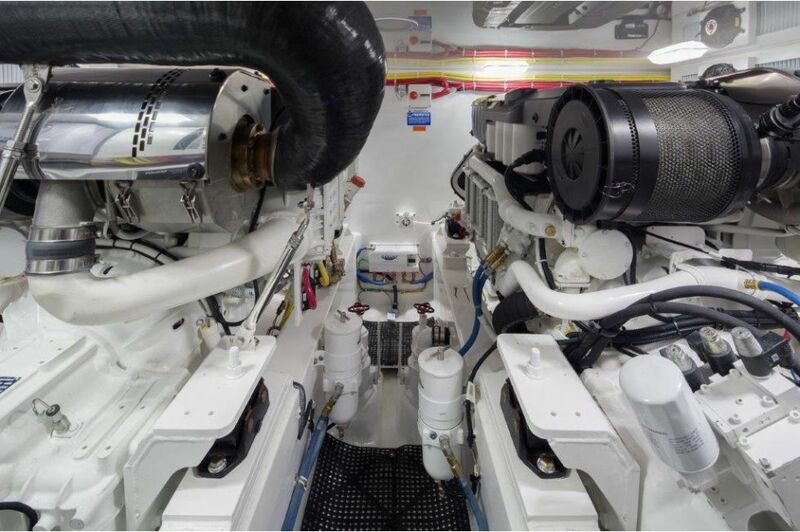 A Delta-T engineroom ventilation system, an oil exchange system and an Onan 13.5 kW E-QD (electronic quiet diesel) Series generator are just some of the standard mechanical and electrical equipment. 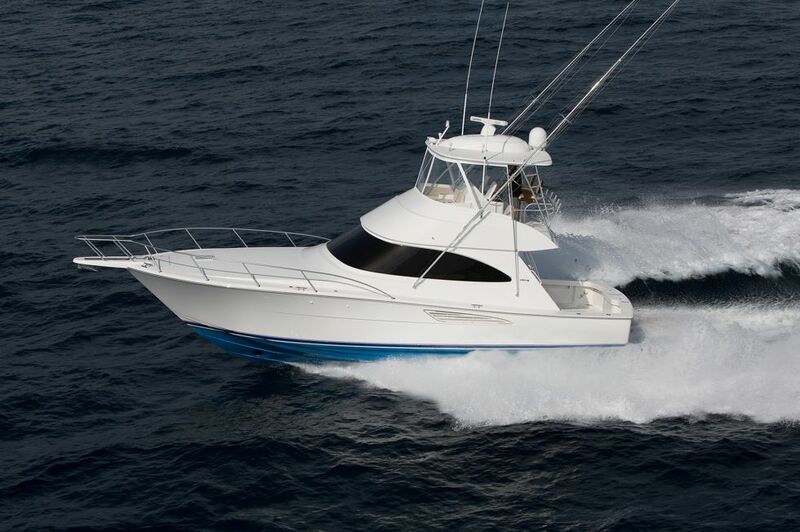 No other company has the experience and know-how to build convertible sportfishing yachts than Viking, which was founded more than five decades ago and continues to introduce innovative, new models regularly. 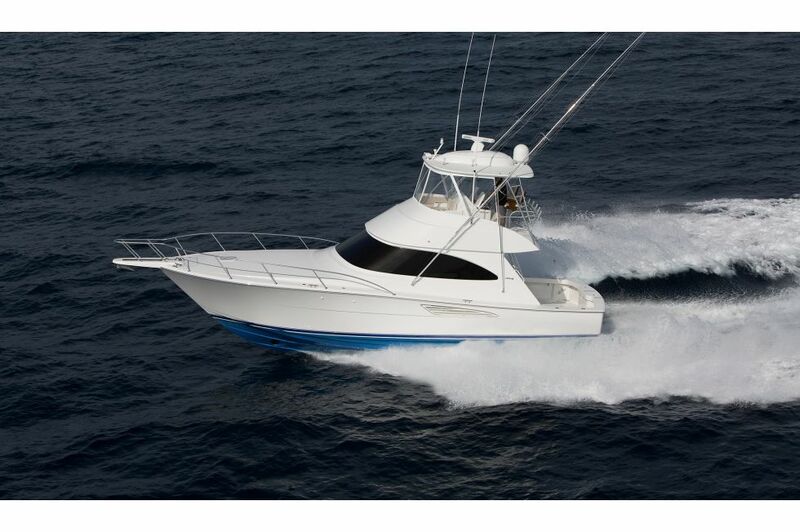 Viking remains driven to build a better boat every day. 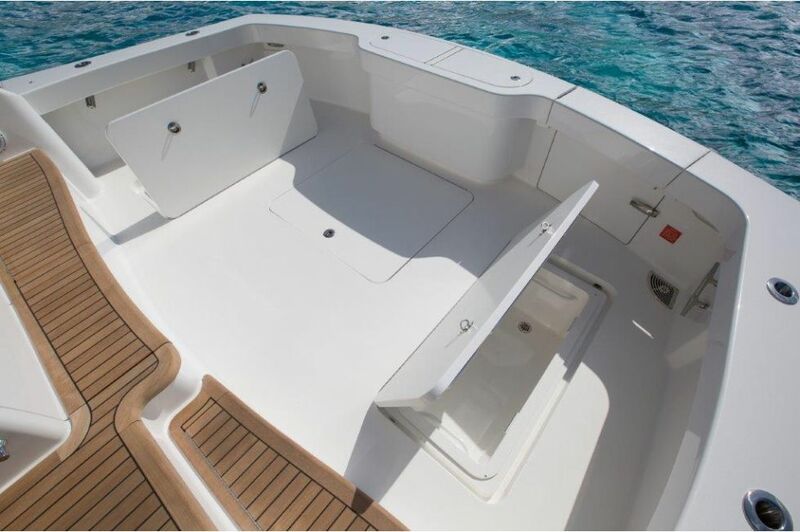 We’re proud of our latest convertible and cordially invite you to see the boat.